Lottery contributes lots of money to state's General Fund, but we shouldn't overlook the harm to the poor and jobless Mainers who buy most of the tickets. When it comes to gambling in Maine, casinos — where they’re located, who’s allowed to operate them, how the revenue gets divvied up — are the big story. The Maine Lottery is old news. Unless, of course, someone wins a massive jackpot, an event heralded by many front-page and social media photos of the winner holding an oversized check and grinning widely. The state lottery is again in the headlines, but this publicity isn’t the kind that lottery officials want to see on Page 1. A recent series of articles by the Maine Center for Public Interest Reporting outlines how the lottery is seeing a big payoff from an aggressive marketing campaign, while overlooking the harm to the poor and jobless Mainers who buy the most tickets. The lottery has had a lot of opportunities to tout the benefits it brings. It’s past time to recognize that there are also staggering costs. The lottery has escaped the scrutiny that other state agencies face, for one simple reason: It pays for itself. Out of the lottery’s annual sales revenue of $230 million, $50 million goes to the General Fund, or 1.5 percent of the total — more than what Mainers spend on liquor each year. “They basically run their own business. From an oversight perspective, they’re authorized to more or less do what they want,” according to state Rep. Louis Luchini, an Ellsworth Democrat and co-chairman of the Veterans and Legal Affairs Committee, which oversees the lottery. So the news service’s six-month investigation into the lottery — including a Cornell University analysis of sales revenue data — was revelatory. People in the poorest areas of Maine spend far more on lottery tickets than those in better-off towns and counties, making the lottery, according to the conservative-leaning Tax Foundation, a de facto regressive tax: one that hits the poor the hardest. Residents of poverty- and unemployment-stricken Washington County spend $275 per person per year to play the lottery — about $150 more annually than residents of either Cumberland or York counties, Maine’s wealthiest. In the Washington County town of Waite, per capita spending on lottery tickets totaled $1,313 last year — more than anywhere else in the state. Far to the south, in Kennebunkport, the total spent per person was the state’s lowest, at $6 in 2014. Twenty percent of families in Waite live in poverty, compared to fewer than 1 percent in Kennebunkport. That’s no coincidence. People in tough financial shape turn to the lottery, despite the extremely long odds of winning, out of a desperate wish to change their circumstances. For every 1 percentage point rise in unemployment in a given ZIP code, sales of scratch and draw tickets go up 10 percent, according to Cornell’s David Just, who carried out the data analysis for the Center for Public Interest Reporting. The lottery industry will argue that playing the lottery is a voluntary activity and that those who can’t afford it shouldn’t buy tickets. The merits to this rationale are undercut by the state’s all-out efforts to target customers, encourage impulse buys and entice younger people to become regular players. In the past 12 years, the lottery has more than tripled its advertising budget, spending it on activities such as installing flat-screen TVs in stores to advertise promotions and feature winners; putting ads on gas station pump handles, and initiating an online subscription service to make it more convenient to play draw games regularly. Fuseideas, the ad agency that won the contract to promote the Maine Lottery, is proposing its own blitz to win over 18- to 25-year-olds. The agency has suggested a $50,000 “golden ticket” scavenger hunt in select towns and beefed-up advertising on social media and at bars and restaurants. The idea that somebody might respond to this full-court press by becoming hooked on the lottery may sound like a comic exaggeration — along the lines of people who say they’re addicted to chewing on ice cubes or to playing the mobile game Candy Crush — but it’s no joke. When someone walks into a convenience store in Waite and asks the owner to cash their whole paycheck in exchange for lottery tickets, it’s hard to believe that playing the lottery is just something they do for fun. The same is true for the customer at a store in the Washington County town of Perry (where residents spend $615 per person per year on the lottery) who buys a gallon of milk, then puts it back because they don’t have enough money for both the milk and a scratch ticket. The ugly reality is that lotteries make the most money off compulsive buyers of lottery tickets. These “core” players make up only 10 percent to 15 percent of all players but account for 80 percent of ticket sales, the research and marketing firm Independent Lottery Research told The New York Times in 2007. 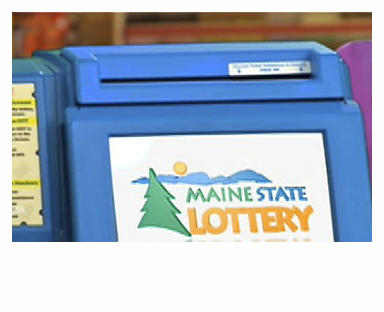 The Maine Lottery hasn’t had to account for the lottery’s social impacts on poor, unemployed or working-class Mainers because “the state is drunk on the revenue,” former Republican state legislator Peter Mills of Cornville told the Center for Public Interest Reporting. Nobody knows how many people are addicted to playing the Maine Lottery, and officials with both the lottery and the Department of Health and Human Services say there are no plans or funding to gather the data. Maine legislators don’t seem to have been any more eager than lottery officials to take a closer look at the games. They’ve consistently turned down proposals to dedicate revenues to increase oversight of the lottery or to earmark profits for problem-gambling initiatives or other public goods, such as school scholarships, quality early child care and education and breast cancer education. This isn’t to say that nobody in Augusta has raised concerns about the lottery before. In 2007, legislators asked the Legislature’s watchdog agency, the Office of Program Evaluation and Government Accountability, to investigate lottery operations. Luchini, the Veterans and Legals Affairs panel co-chairman, says a backlog of work has delayed the study, but the findings of the Center for Public Interest Reporting probe should put the OPEGA inquiry on a fast track. Moreover, legislators should be galvanized into holding the Maine Lottery accountable for “taking money from people who can least afford it,” in the words of Whiting Republican David Burns, who represents Washington County in the Maine Senate. The Maine Lottery makes a point of showcasing the very few people who hit it big when they buy a ticket. There’s no reason to allow the lottery to evade responsibility for its impact on the far greater number of Mainers who never win at all.